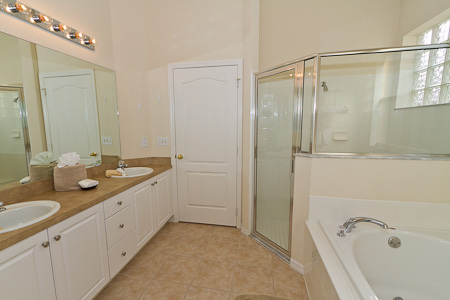 3 bedroom, 2 bathroom villa in the Tuscan Hills community. Owned by Lynn Scott. Ref: 3622. Hi. We first visited Florida as a family of three in 2005. We thought this was simply going to be a once in a lifetime holiday, tick the box but fell in love with Florida. We returned the following three years and had a break for a couple of years before deciding that we wanted to purchase a holiday home in the sunshine state. In 2011 we made the commitment and purchased our lovely home in Tuscan Hills. 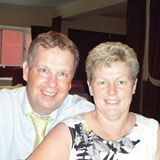 James and I both worked for the local authority until recently when we decided life was too short and opted for early retirement so that we could spend more time in the US. We love visiting as much as possible but still have family ties so enjoy renting out our home when we are unable to be there ourselves. For privacy reasons, the marker on the map shows the Tuscan Hills community location and not actual villa location. 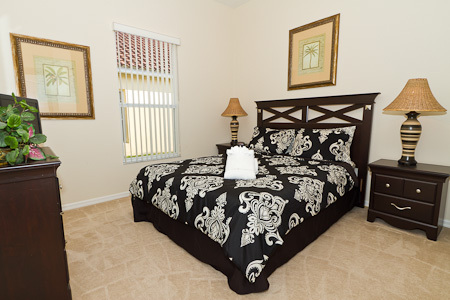 Our beautiful, fully equipped three bedroom Villa is situated in the prestigious gated community of Tuscan Hills. 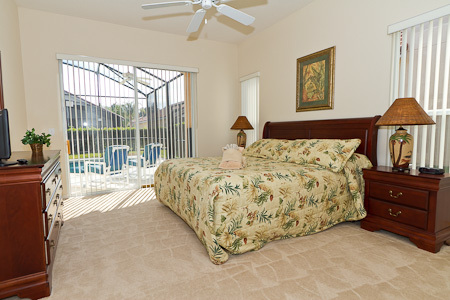 Community facilities include a Clubhouse with Fitness Room, Child’s Play Indoor Play Room, Games Room, Wi-fi, Large Lounge and a covered Lanai overlooking the Tennis Court, Sand Volleyball Court, Tot Lot and Palm Garden. 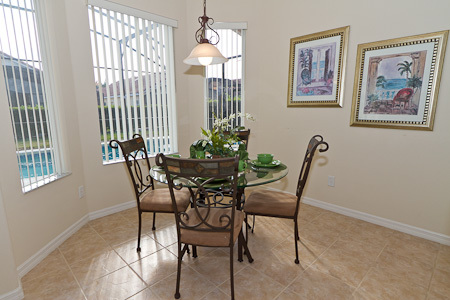 Tuscan Hills is ideally situated on the US 27 and only 1 mile from US 192 and 10 minutes from the Interstate 4 giving easy access to all main travelling routes in Orlando. Disney is a 10 minute drive while the parks at Universal Studios and the newly opened Legoland are only 20 minutes away. For the golf lover, there are approximately 20 golf courses within a 20 mile radius. Supermarkets – Walmart and Publix – are located on both the US 27 and US 192 within a five minute drive. There are numerous restaurants, takeaways and shopping malls in the area. 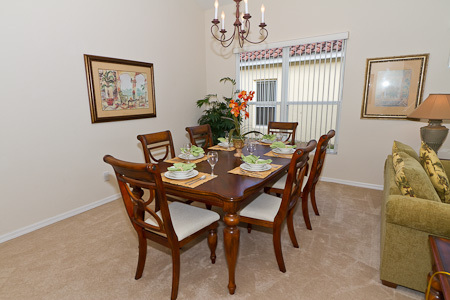 Our beautiful three bedroom Villa is situated in the prestigious gated community of Tuscan Hills. 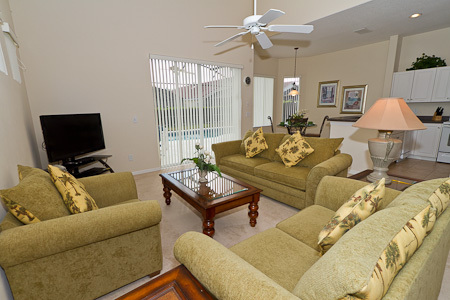 Community facilities include a Clubhouse with Fitness Room, Child’s Play Indoor Play Room, Games Room, Wi-fi, Large Lounge and a covered Lanai overlooking the Tennis Court, Sand Volleyball Court, Tot Lot and Palm Garden. 29 Aug 2019 to 14 Sep 2019 - use the form below to enquire about these dates. We are just home from a fantastic holiday, we were over for a family wedding and have to say staying here made it even more special. As soon as we opened the front door we were delighted with what we saw. 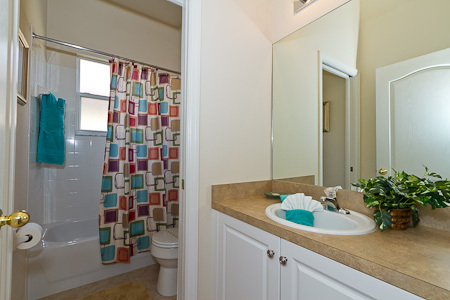 Everything was spotless clean and there were special touches in every room. We really liked the layout of the villa. 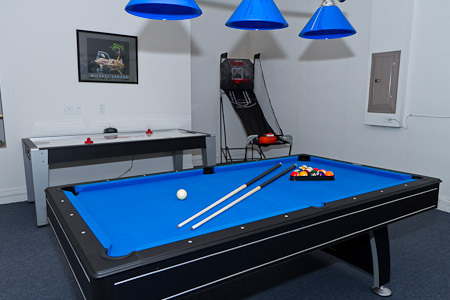 The games room was a highlight for our boys and us, it was nice to go in there and chill after a day at the parks. Every bed was really comfy and we always had a good nights sleep. The pool was a treat and was nice and warm!! So glad we got it heated as family members staying in another villa decided not to get theirs heated and sadly they hardly used their one as it was too cold. There is loads of space in the pool area for lounging about and plenty cushioned chairs/loungers. Lynn and James the owners are so helpful and very professional. They were always on hand with any questions we had. You can easily see this villa is their home too by all the thought and care that goes into it, it is really looked after. 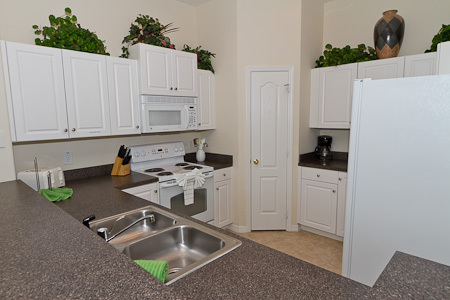 The villa is not far from Publix/Walmart and loads of restaurants which was very handy!!! Thank you for letting us stay here with our boys, we had such a good time and made magical memories, we hope to come back soon. My husband and I stay at this villa for a few days in October. 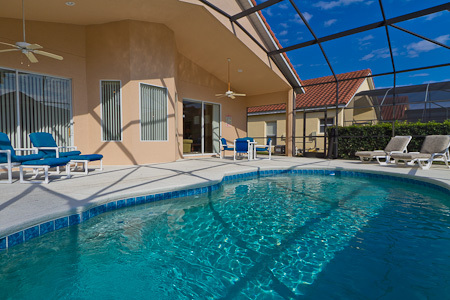 We have stayed in a few villas in Florida over the years but I can honestly say this was the cleanest and most comfortable we have stayed in, beautifully decorated, well equipped and the south facing pool was fabulous and very warm! It was very easy to book direct with the UK owners. We would definitely choose this villa again. We stayed at the villa for a week in October 2018 as a family of 4. 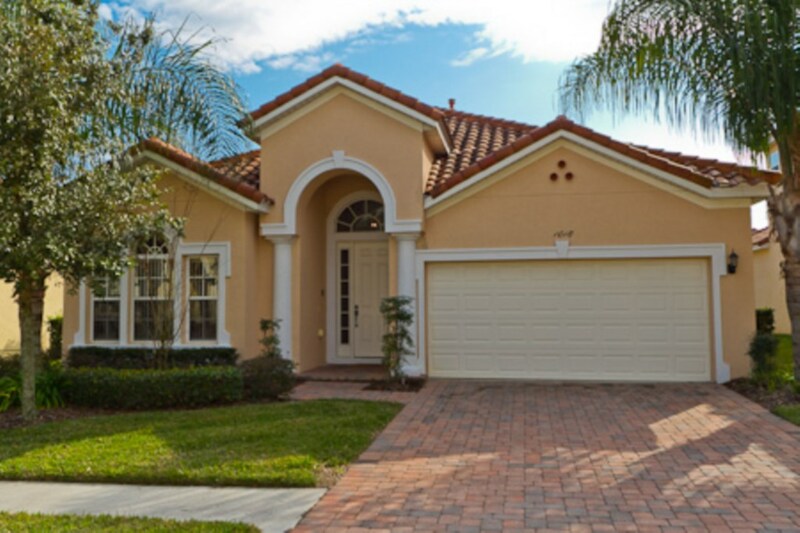 We have visited Orlando previously but this was our first time staying in a villa and we were not disappointed. Communication prior to our stay was excellent, from answering our questions promptly to giving us helpful tips and information for our stay. 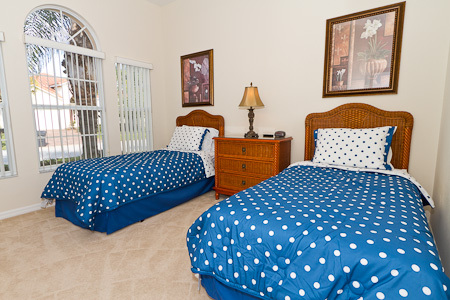 The villa is in a lovely peaceful gated community with easy access to all the Orlando area has to offer. The villa is well equipped, spotlessly clean, beautifully decorated and very spacious. Our kids loved the added bonus of a games room and, of course, the pool. I have a ‘no cooking’ policy while on holiday (although excellent cooking facilities are available) so we ate out each night and had no problem finding a wide variety of restaurants close by. We would definitely stay again, the only downside was that we only booked 7 nights and wasn’t nearly long enough. We had really good contact and instructions regarding the property from the owners prior to leaving the UK. The Villa was absolutely wonderful, comfortable and the master bedroom was massive with an equally massive en suite. The lay out of the Villa is spot on and there were lots of kitchen utensils to use and crockery etc. Pool was fab to cool down in and everything around the site was beautifully kept. We would fly back and stay there in a heartbeat . Your enquiry will be sent to villa ref 3622 only. This page has been viewed 2113 times since 13 Jul 2018.